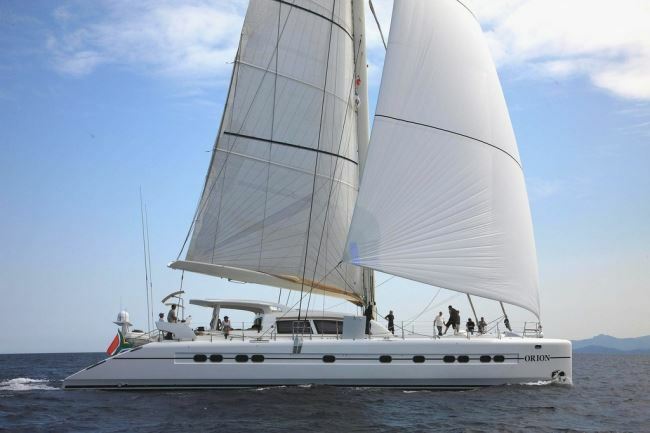 Sailing catamaran ORION was built by Catana of France in 2008 and measures 27.4m (90ft) in length. 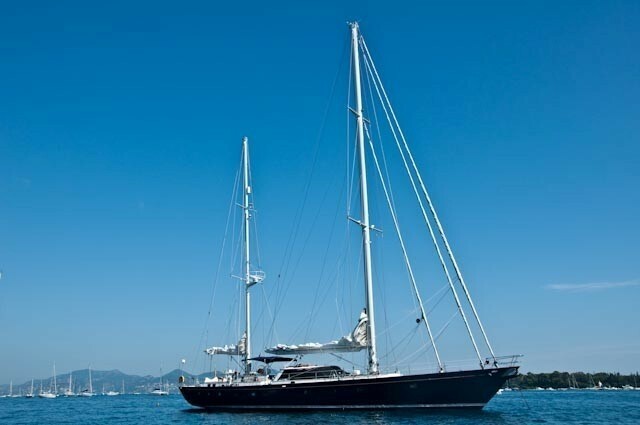 Crewed yacht ORION offers spacious accommodation for up to 8 charter guests, in 4 deluxe en-suite cabins. 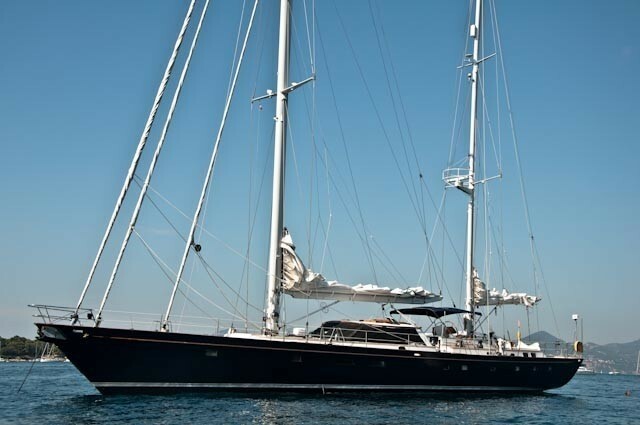 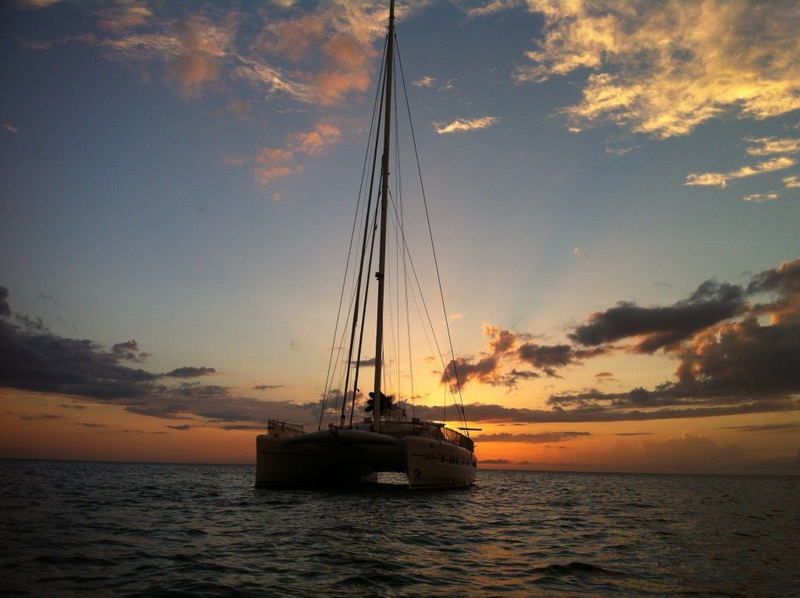 Multi hull yacht ORION is available in the idyllic Caribbean during the winter months. 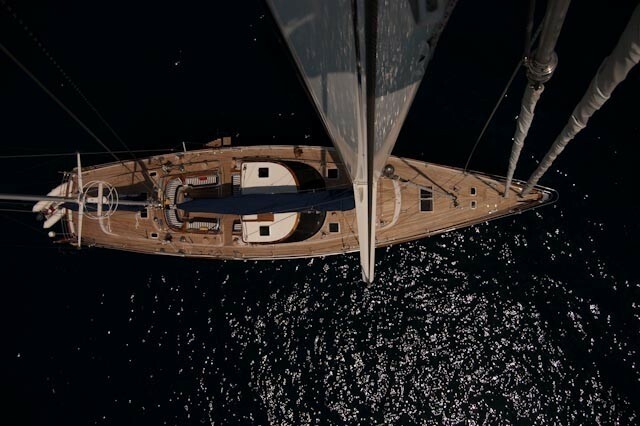 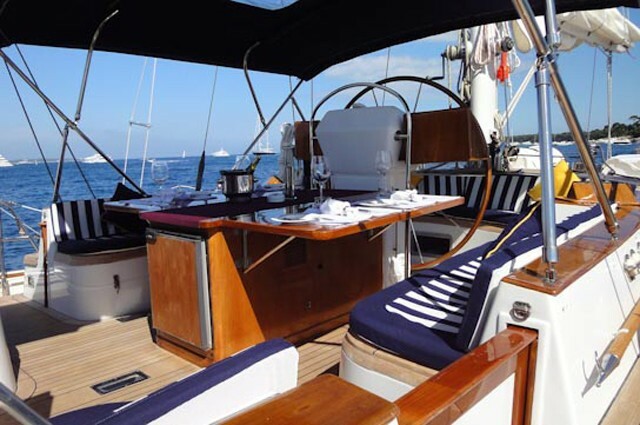 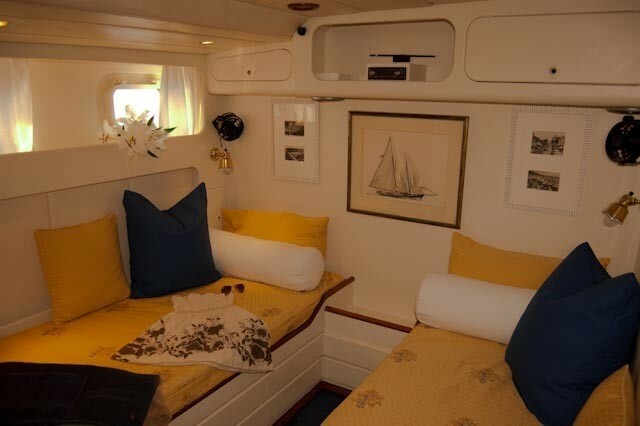 S/Y ORION has a light and contemporary interior décor. 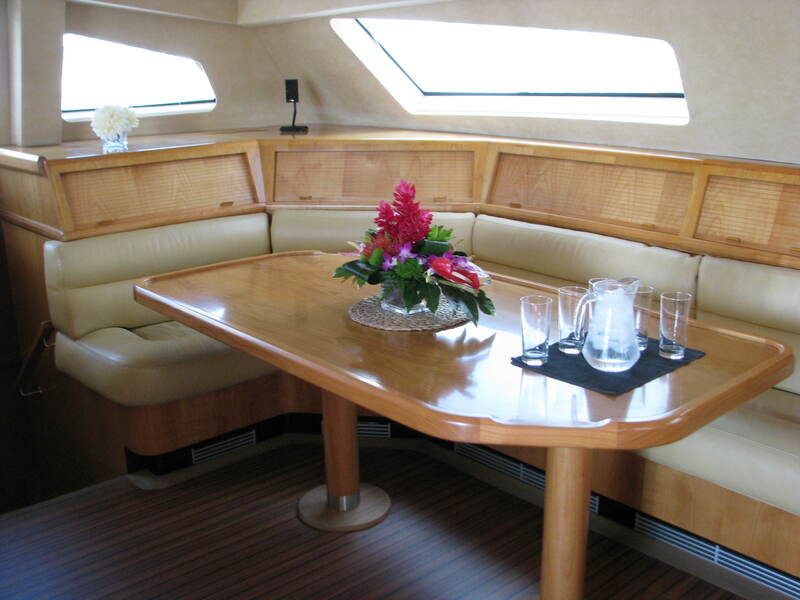 Honey toned woods, cream leather furnishings and ample natural light, create an open airy ambiance. 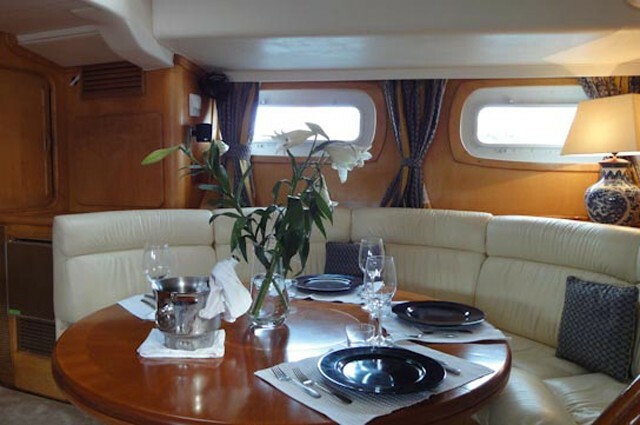 The salon and dining is an open plan, with the lounge on the starboard side, formal dining port and forward, plus the well-equipped galley port and aft. 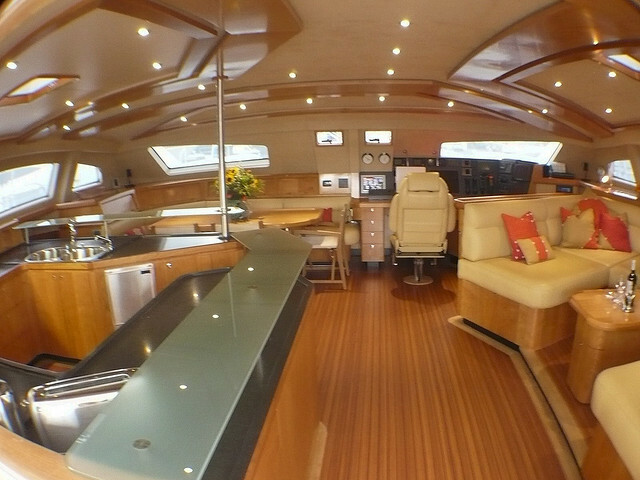 The Galley offers a glass top breakfast bar, also ideal for evening cocktails. 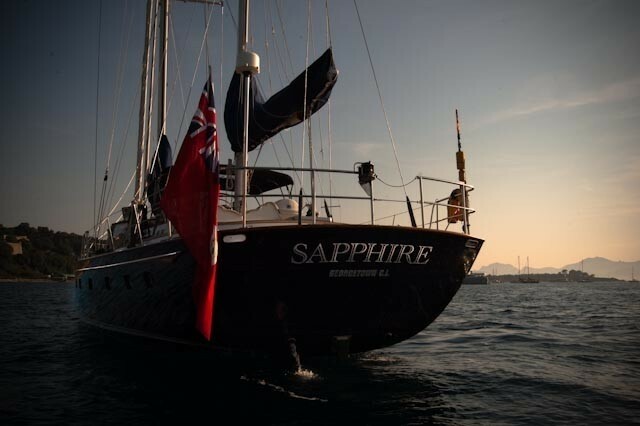 Guest accommodation is in the port and starboard hulls. 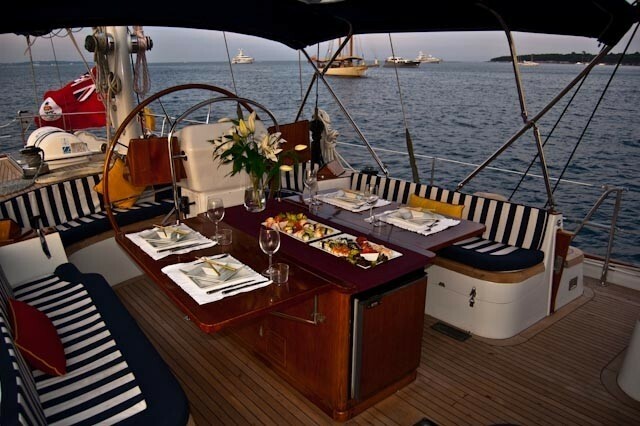 Exterior living is plentiful on the 11.66m (38.3ft) beamed performance catamaran ORION. 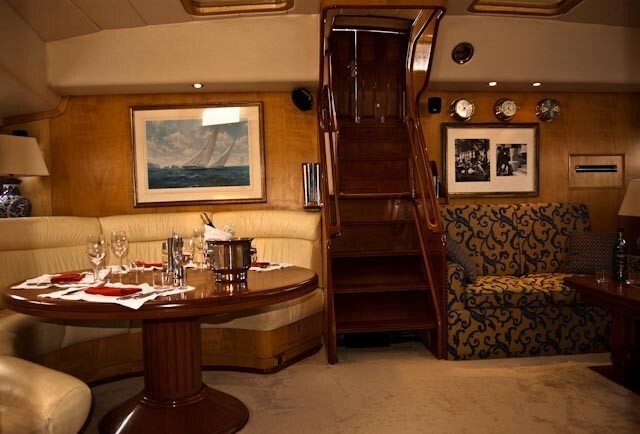 Adjacent to the salon is a generous shaded aft cockpit, with ample seating and an alfresco dining option. 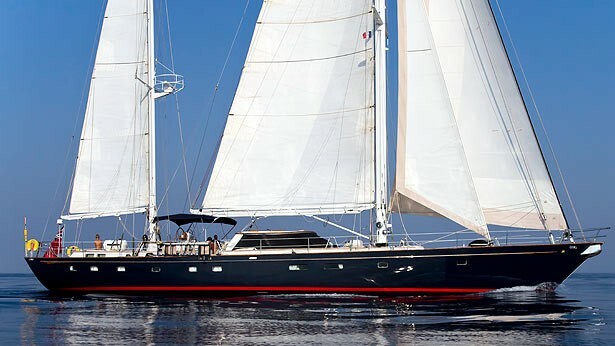 Guests may easily wander to the capacious foredeck at anchor, or while under sail, where 2 large trampolines are perfect for sunning and relaxing. 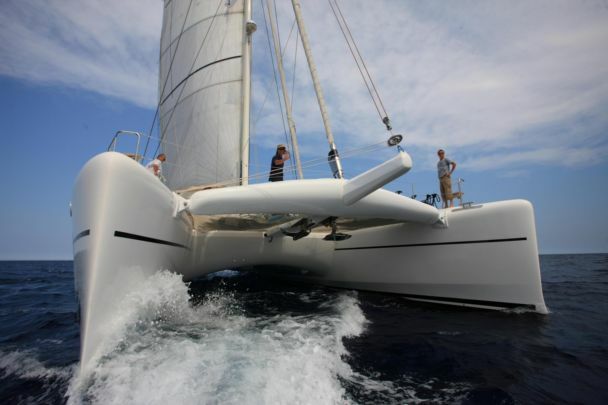 Powered by 2 x Perkins 210hp engines when not under sail, the Catana 90 ORION catamaran is capable of 8 – 10 knots. 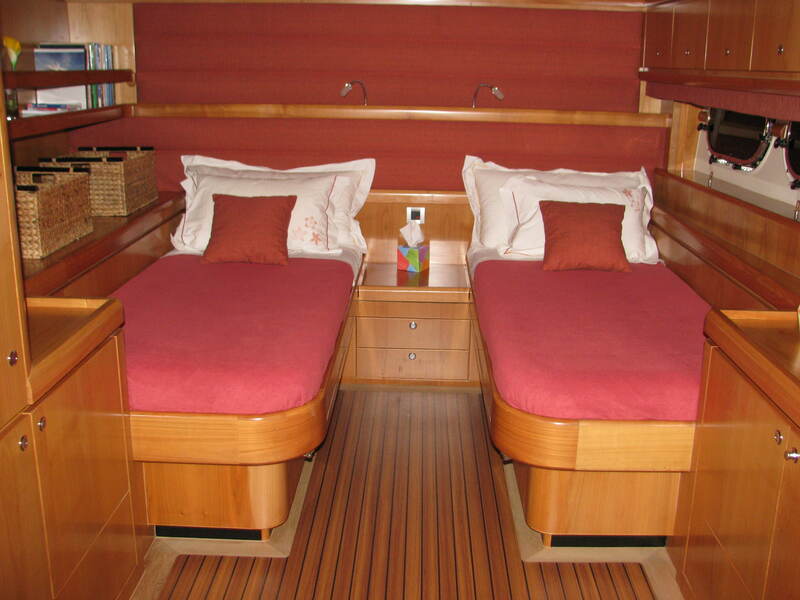 The ORION catamaran offers accommodation in 4 cabins. 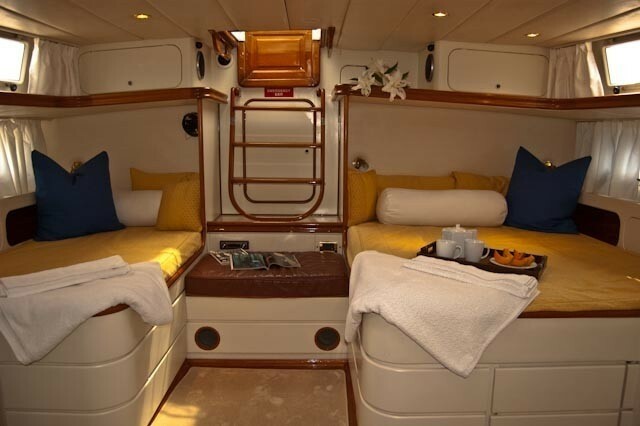 The master cabin has a king size bed. 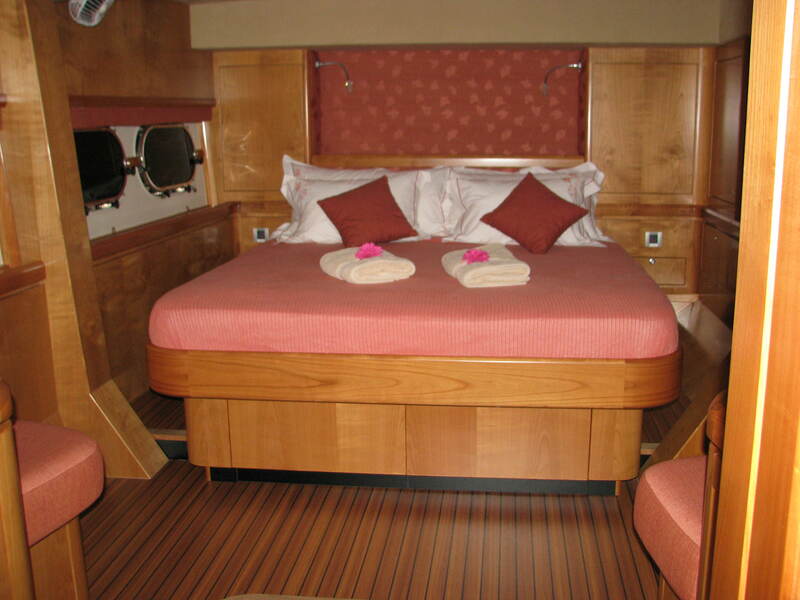 A VIP cabin offers a king size bed, which can also convert into 2 twin beds if required. 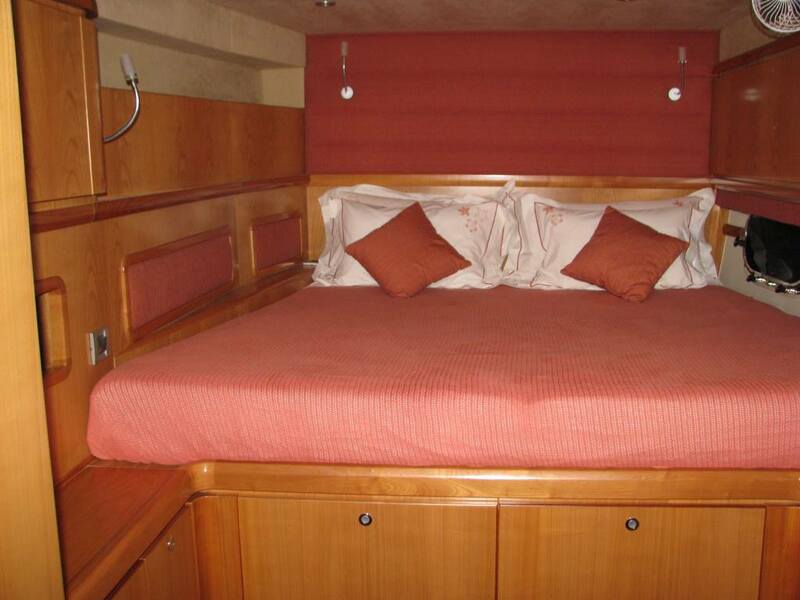 A family cabin has a king size bed and a separate cabin with 2 twin beds. 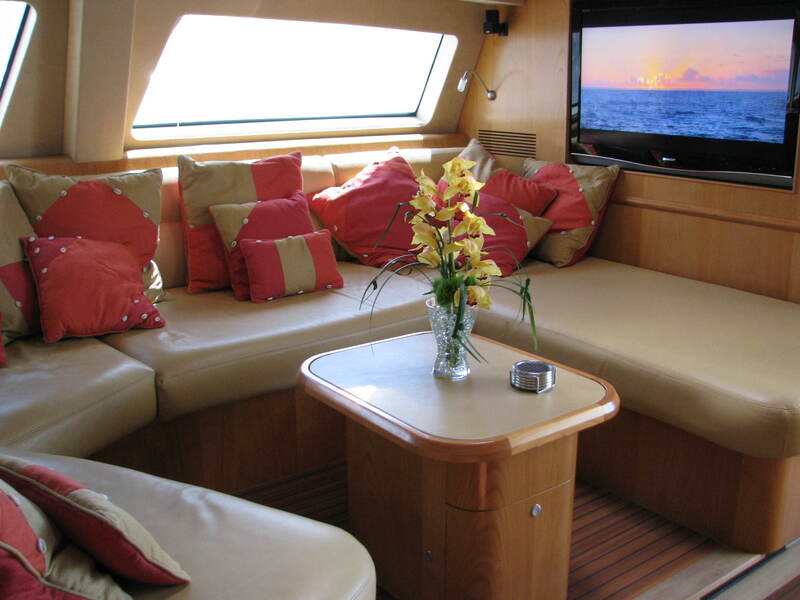 These cabins are adjoined and share a head, perfect for a family, kids with a nanny, or teenagers. 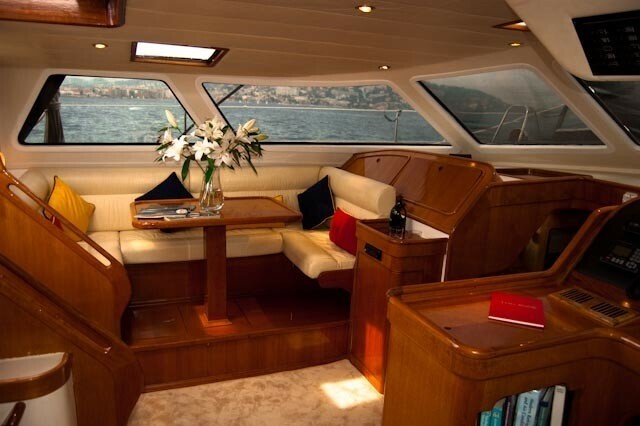 Yacht ORION has a 14' RIB 90hp Yamaha with towing harness, 10' Avon, 6hp Yamaha, Wakeboard x 2, Child & adult water skis, Snorkel gear, 2 SUP's, Snorkel sleds, 1 x 2 man kayak, 16' sailing catamaran, High performance fishing reels & expert fishing guide, Large screen TV - Salon, DVD salon & all cabins, Stereo, Internet - local provider, Underwater camera, still & video, Go PRO.